Just imagine 28 business students from three European countries, three professors and 2 researchers. Brief the students for two weeks intensively on their home campuses, give them a task to complete, and throw them into a virtual learning platform! What do you get? The Global Virtual Team project; we called it GVT! First conceived two years ago on the Schwenningen campus of the „hidden champion“,Furtwangen University, known as the HFU, when the professors Nikola Hale and Heike Stengel, based on years of consulting and training in industry, recognized that students need to be trained up to collaborate successfully in the virtual work environment. A pilot project was started to expose the students to identifying and experiencing the challenges of this virtual teamworking. Four bachelor’s and master’s theses followed to acquire an overview of the current research, literature and thinking on global virtual challenges, and in summer semester 2018, Nikola Hale initiated the project, „Find your GVT Rhythm!“ in cooperation with colleagues from two Erasmus partner universities located in geographically and culturally remote corners of Europe. These three principals, Carmen Jambrino from the University of Malaga in Spain, Tarja Ahonen from Lahti University in Finland, and Nikola Hale at Furtwangen University in Germany collaborated on this project for their undergraduate students of international business. The unique opportunity was for students to be exposed to and experience the inherent complexities that Global Virtual Players confront in the business world, while they are still undergraduate students. The learning and insights derived would give the target group competitive advantages entering the work world which requires virtual competences these days. Would the globally mixed teams of students, none of whom had ever met previously, develop the ability to build trust and create a social presence in the virtual meeting space? Based on their millennial expertise in social media, with new technologies and virtual spaces in video games and other spaces, would they accurately estimate the challenges of teamwork in the virtual environment? How will they cope with the complexities of virtual teamwork which might hinder communication and performance, e.g., cultural biases and preferences, different time zones, locations, semester schedules, educational systems, varying levels of English proficiency (the designated lingua franca for this project, although many Germans spoke Spanish) ,et al. ?What can such a globally mixed team achieve in four weeks of virtual work and then subsequently 48 hours in an intense face-to-face „Sprint on Location“? And ultimately how do they experience the group work and dynamics in virtual space compared to face-to-face collaboration? 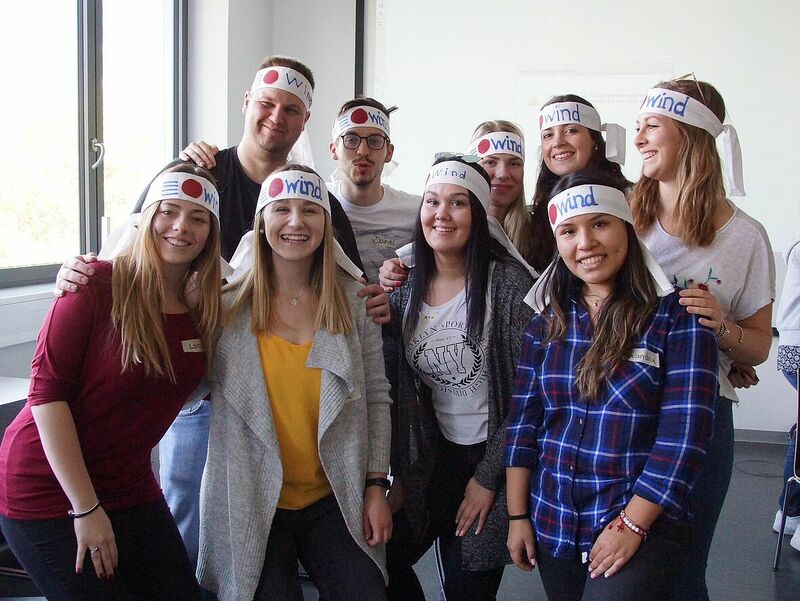 The final presentations of each of these culturally and geographically mixed virtual teams exceeded all expectations: the commitment, enthusiasm and creativity bundled into the products the groups created speak for themselves. From the host institution HFU students‘ willingness to house and feed the visiting team members, to the high level of intense work and engagement observed among all GVT students at the final „Sprint-on-location“, which lasted till the early hours of the following day, contagious diligence and perseverance were always evident. Together with the presentations of the three teams and a comprehensive debriefing, all of this confirmed that our students, the so-called Millennial generation, flourish especially in the right environment, with the pressure of a deadline, an engaging task and the willingness to collaborate across borders, and then they can move mountains! The analysis of the pre-and post-survey surveys and of the observations from the virtual and face-to-face meetings demonstrated clearly that the students overestimated their abilities to create an effective and efficient and healthy collaborative team in the virtual working environment. Their testimonials at the debriefing illustrate huge respect for what lies ahead in their next internship or employment when working in GVT’s. As the team members articulated their reactions, perceptions, interpretations and learning insights at the extended and multi-model debriefing, it became clear to the principals and researchers and students, that this kind of intensive and compact format is highly motivating for this generation in order to learn how to develop and strengthen their global networks. The project functions as a perfect companion for fostering the development of virtual collaborative competences which are required in the world of today: agility, intercultural sensitivity, foreign language competences, communicative skills and the willingness to embrace ambiguity. This project would not have been successful without the tireless and continuous support of Bettina Schütz, HFU Learning Services, and Lucia Schwarz, HFU International Center, HFU, and the HFU student guide, Anis Joel Yaiser.